Nithu's Kitchen : Tell us about you Priya. Priya : I am from chennai(ancestors from Palgat, kerala)brought up in a very traditional family. I am a Pediatrician currently in practice in Virginia. I work part time and absolutely love my job. I have 2 kids, a 10 yr old son and a 21 month old daughter and happily married to my husband for 15 yrs. He is also a doctor in training to be a Cardiologist. We moved around a lot since we left India in 1997. I was in London for 7 yrs and moved to the US in 2004. Nithu's Kitchen : How you got this much interest in cooking and when did you start to cook. Priya : I 've always been a foodie, I guess. I 've always enjoyed watching cookery shows or collecting magazines etc. I still remember borrowing cuttings from a Tamil Monthly called " Mangai" from my aunts. I started to cook only after getting married as most women , but used to help my mom a lot in the kitchen. Nithu's Kitchen : How you felt when you get to know that your recipe was published in a famous magazine. Priya : I was totally excited and thrilled. It's funny because, I don't know how to read or write malayalam and my first recipe, Idly french fries was published 14 yrs ago in a popular malayalm monthly "Vanitha". The nurses whom I used to work with helped me write it up. 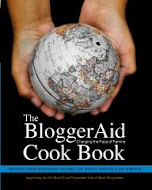 It was such an amazing feeling to see what I cooked could be shared with so many other people. Nithu's Kitchen : How you balance your job and blogging. Priya : I started this blog just as an online recipe diary for new things that I tried, but now I'm addicted to it! My work is quite demanding so I don't get as much time as I would like to develop my blog.I am always keeping my eyes and ears open to find quick, but tasty vegeterian recipes. Having an i phone is a blessing for me at times. When I am on call and staying awake in the middle of the night, I will be searching for recipes or checking if my blog is in good health! The moment I see a comment, it's like getting a bolus of IV fluids for me. I get all excited and will be thinking what next! Nithu's Kitchen : What is the greatest challenge a pediatrician often meet? Priya : Pediatricians are challenged every day as they not only deal with little ones, but they deal with the whole family. It's a lot about good listening and communications. The most wonderful thing as pediatrician is seeing a baby being born, see them through their different stages of development and finally see them mature into amazing young adults! The alarming thing nowadays is the rising obesity epidemic amongst both caucasian and indian children. So most of my recipes will try to provide a balanced healthy diet for the whole family. Nithu's Kitchen : What do you have today to share with us. 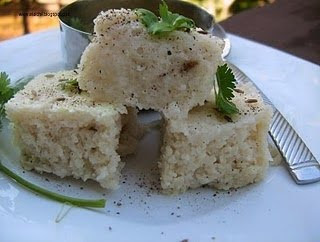 Priya : I would like to share the recipe of Kanchipuram idli with you all! Nithu's Kitchen : What is so special about this Kanchipuram idli. Priya : Every south Indain pretty much knows how to make Idli's. But Kanchipuram idli is different coz, it has wonderful spices mixed in them routine. My parents used to make good kanchipuram idlis and wanted to share it with you all. The beauty of this is you don't need idli stand and it's easy to make. Drain the rice and dal and grind them together to the consistency of rawa/ idli batter ( coarsely). Add salt & mix. let it ferment overnight, by keeping it in a warm place or inside your oven. Powder the Jeera and pepper and keep aside. The next day, Add the soda, jeera, pepper powder, ghee, yogurt to the batter and mix well. Grease a circular pan, like the one you get to cook dals in pressure cooker. Add the batter to fill atleast 2/3 and steam in a pressure cooker with out the whistle for 10 -15 mins. Let it cool, cut into deisred shape and serve with sambhar or chutney. Nithu's Kitchen : Thank you so much Priya. Enjoyed talking to you. Priya : Thanks for giving me this opportunity. Friends, hope you all love Priya's delicious Kanchipuram Idly. 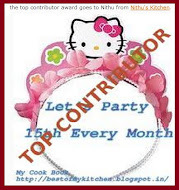 f you are interested to be featured as Nithu's Kitchen's Guest, please drop a mail to nithuskitchen[at]gmail[dot]com. 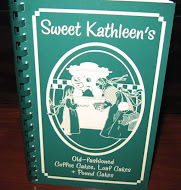 1000 + recipes..... Keep them coming!!!!! Thank you, Nidhu Bala for the interview. 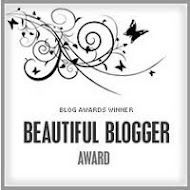 I am so happy and thrilled to be featured here! Thanks again Nithu for this opportunity! Thanks Nithu for the interview with Priya. It was nice knowing abt her.Kanchipuram idli is superb. Lovely recipe Dr.Priya ! and glad that u balance career and passion so well ! Thanks nithu for the interview. Great job ! Nice to know about u priya,wounderful recipe.thanks for sharing. Good to know abt Priya.. She has a great space..
Nice to heard about you Dr.Priya. and your idli also sounds too good. Its really great to know about Dr.Priya,and the idly looks really tempting. Great post, Nithu..It was really great knowing about Priya. Kanchipuram idlis look fantastic!! Never tasted it before but i am sure they must have tasted divine..
Glad to know more about Dr Priya, idli looks super delicious and soft..
Nice to know abt priya...thanks Nidhu!! nice to know abt Dr. and chef priya..will surely land on her blog soon ..lovely interview nithu ! Good to know you Priya and your idli recipe. Great job Nithu. Nice morphing. Mistake the pic for some sweet. This trick would be perfect with kids. Thanks Nithu and thnx Priya. Nice recipe and it was nice to hear about priya. Nice to know about Priya.That idli looks super soft and yum!! 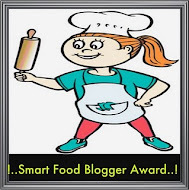 Btw,Nithu,there is an award for u in my blog.Kindly collect it..
kanchipuram idlis looking yummy....u have different style of blogging...love ur presentation. Great Nithu. You really do wonderful things. You have received an award. 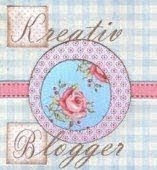 Please visit my site and collect it. Best Wishes.